A new curriculum to strengthen Indigenous languages and cultures in all Northern Territory Schools will be ready for implementation in 2018. The Keeping Indigenous Languages and Cultures Strong Curriculum will provide schools with a range of flexible options and support them to work with their community to decide what approach suits the individual needs of their students. This includes bilingual, first language maintenance and revitalisation, second language and cultural awareness and language programs. The curriculum will also build on existing programs, with more than 50 schools in the Territory currently delivering programs in 27 different languages. Maningrida College is one of these schools. It has a first languages program that is being taught in four different languages to more than 450 students from preschool through to the senior years. Teacher Linguist, Mason Scholes said the school’s Indigenous language and culture program employed 13 local Indigenous teachers and had strong community input, decision-making and leadership. “The community and students have a very strong voice in shaping the Indigenous languages and culture program and the school has built a network of relationships with outstations and local organisations,’’ he said. 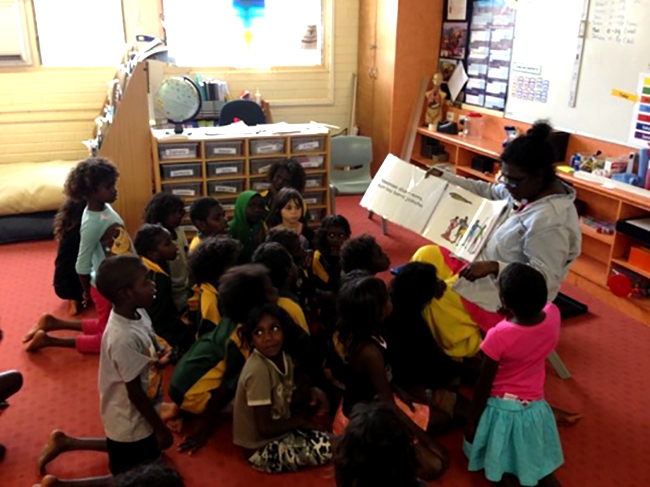 In the latest school survey conducted at Maningrida College, 97 per cent of students said they liked learning about language and culture at the school, while 86 per cent of families and 89 per cent of teachers thought it was important for students to learn language and culture at the school. Mr Scholes said planning workshops were held with elders and community members so they could have input into the program while surveys were used to find out what it is the students want to learn about. “Each language group gets to decide what they want to see the students learning about and we have a very strong excursion program because of that,’’ he said. “The students go out on country with their language group so they learn in a different environment while providing them with a good opportunity to spend time with community elders. Mr Scholes said the experience of teachers at the school had added strength to the program, with teachers developing resources in language as well as teaching students and community members. He said while the current program focused on listening and speaking, the school was working to build its capacity to also teach reading and writing in first language.